We bring people together both men and women socially via netball. We place individuals and teams into competitions across different locations to get fit and unplugged from the days stress. We promote wellness mentally and physically. 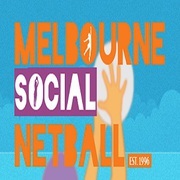 https://melbournenetball.com/ enquiries@melbournenetball.com 0419. Contrary to popular belief, the sound of snoring doesn’t come from the nose; instead it starts in the back of the airway. Only an advanced and effective anti snore device can control the sound. At Snore No More, we specialise in sleep consultation. Besides, we also offer the new age anti snoring mouth guard that limits the sound and allows you and your partner a good night’s sleep. Local Mechanics are one of the premier auto repairer groups servicing customers for all their mechanical needs throughout Australia. Our Local Mechanics are Australia-wide and can provide Vehicle Accessories Installations as well as Vehicle Servicing and Repairs. Call us on 1800 865 325..
Supreme Roofing Group provides exceptional roofing service including roof restoration, maintenance, repairs and painting. Website: https://www.roofrestorationgroup.melbourne/ Phone: 04 3394 4303 Email: quote@melbourneroofrestorationgroup.com.au Address: 6/16 Grant Street Oakleigh VIC 3166. Are you looking for the quality smash repairs in Bayswater? Then Swaggy's Panel Shop is the specialist of smash repairs and spray painting in Bayswater and other suburbs. We are providing smash repairs, spray painting and panel beating services to the Ferntree Gully, Bayswater, Ringwood, Croydon, Lilydale areas for over 45 years. 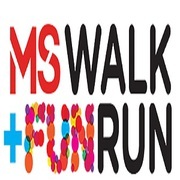 A carefully curated day out – the MS Walk + Fun Run is a combination of the classic fun run model, a big spoonful of community spirit, and a sprinkle of health and wellness, all mixed together to create an opportunity to make a real difference to people’s lives https://www.mswalk.org.au/ walkrun@ms. Gardening Services Victoria provide fully trained workers, who can advise you on all aspects of garden care, from plant selection, pruning, fertilization and mulching schedules, how to promote strong root systems, how often to water gardens, and different plants, recommendations on plant feed and more. Acewares is reputed food packaging suppliers in Australia. All our products are biodegradable and disposable. 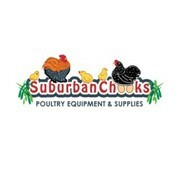 If you own food business and provide food take away service than your food containers must look good to the consumer. 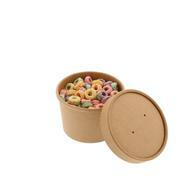 We offer a wide range of attractive takeaway containers, they are stylish and durable. Cheap Windscreens Melbourne is a leaders of windscreen repair provider in Melbourne. We provide high-quality windscreen replacement and repair at reasonable rates. 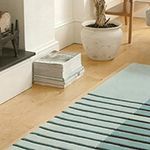 Our aim is to provide quality workmanship and excellent customer satisfaction service at the best possible prices. We also offer car window replacement, mobile windscreen replacement, and car windscreen chip repair services. BEDC provides the best zoom teeth whitening treatments which serve an assurance of effective remedies and the best dental care for your family. To know more kindly visit- https://www.bedc.com.au/teeth-whitening/ Office - 677 Hawthorn Road, Brighton East, VIC 3187 E-mail - admin@brightoneastdental. Cleaning of septic tanks in Melbourne is important to make sure that your septic system works well over time. Harmor Services is your expert septic tank cleaning provider in Melbourne and Yarra Valley. Our trained professionals render the efficient cleaning procedure that keeps the environment clean and hygienic. Dreamcube Productions is a video production company offering music videos, short films, live-generative motion graphics, digital content and other video solutions. 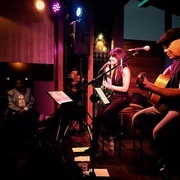 The reputation we have built up in this highly-competitive industry has mostly been credited to our offered assortment of music videos production services. Gurkhas caters for many events large and small throughout the Melbourne, specialising in corporate functions, small group to seated gala dinners and more. 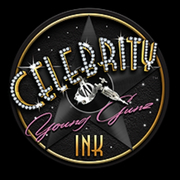 We pride and commit ourselves to bring excellence, high quality food and professional service to every event. Learn more about our event catering service in Melbourne. 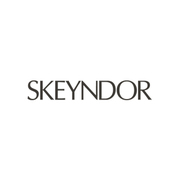 Get flawless skin with our affordable skincare products for sensitive skin available at our official online store SKEYNDOR Australia. We are a well-known and reputed manufacturer of beauty and skincare products and supply our products across Australia. We use only high-quality ingredients to make our products and they are suitable for all type of skin even for sensitive skin. If you are looking for a reliable Mini Skip Hire Services in Melbourne, Then Kwik Bins is the ultimate destination for you. We provide all according to your requirement Mini Skips in Melbourne. Our mini skip bins are easily carried your unwanted waste materials, which avoid the necessity to lift large items. If you are Looking for Efficient Air Purifying Filter then Hepa Filter is Best for you. 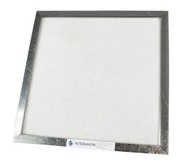 Contact Filter Makers which is a leading Air Filters provider in Australia. HEPA (High-efficiency particulate air) Filter is basically a type of air filter that consists of a network that traps the air inside and protects harmful particles such as smoke, pet dander, dust, etc from entering. Are you need of quality architectural steel fabrication service in Melbourne? Modern Gates Melbourne offers welding and steel fabrication service for both the residential and commercial clients in Melbourne including general welding, fabrication, fence/gate framing, security doors, and outdoor furniture. Buyingland.com.au is the leading provider of a comprehensive guide to existing and upcoming land for sale throughout Victoria. Used daily by purchasers of land, it is an excellent tool to search for and shortlist a number of estates to purchase your dream block of land through.. If you are looking for the highest quality landscape design, garden design and landscape architecture services in Morman, Northern Beaches at the best price, then Nest Gardens could be fantastic place for you. Visit us; -https://www.nestgardens.com.au/. Melbourne ads Melbourne, All categories classifieds Melbourne, All categories free ads Melbourne, ads for sale Melbourne, ads to buy Melbourne, FREEADSAustralia Melbourne Page number 3-1. Find here ads for sale, to buy and rent in Melbourne. Goods for sale in Melbourne, vehicles for sale in Melbourne, Melbourne real estate for sale, Melbourne property for sale, property for rent in Melbourne, business ads in Melbourne, Melbourne business classifieds, services in Melbourne, Melbourne services ads, jobs in Melbourne, pets for sale in Melbourne, Melbourne dating, Melbourne cars for sale.